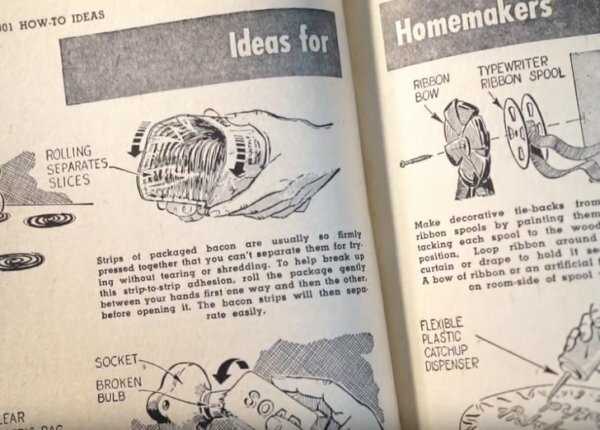 A YouTuber who goes by the username Household Hacker, recently found a handy “How-To” guidebook that dated back to the ’60s, so he decided to give some of the pointers a go. 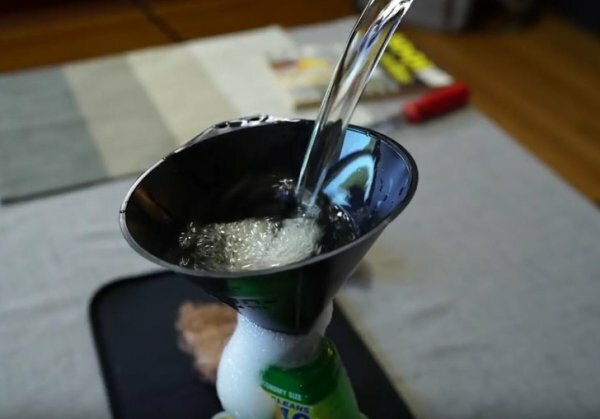 Turns out, we weren’t half as dumb as some people think, because there are still some useful ideas in there that are capable of making your life just tad bit easier. 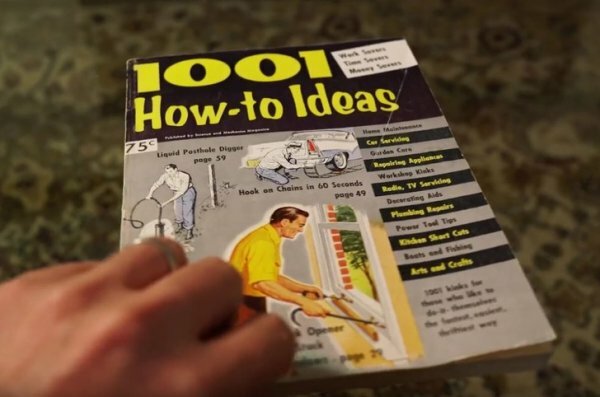 Below are 10 practical ideas that you could still use today. 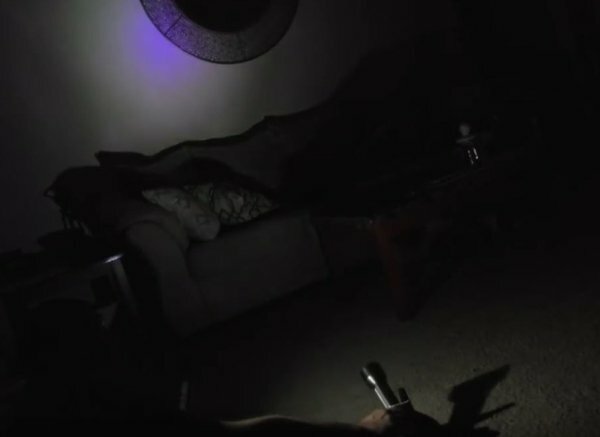 Sometimes when caught in a dark area with no lamps or working electricity (say a power outage hit the area) you’ll have to settle for a flashlight. But sometimes what you really need is some directional light mounted to free up your hands. 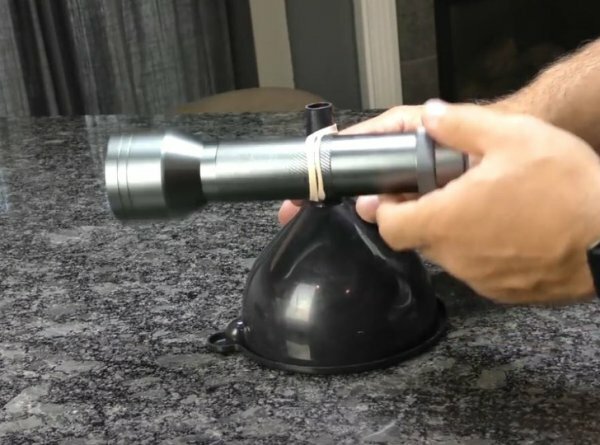 Using a rubber band, attach the flashlight to the spout of a funnel or even large bottles that are filled with water in order to prevent it from tipping over. 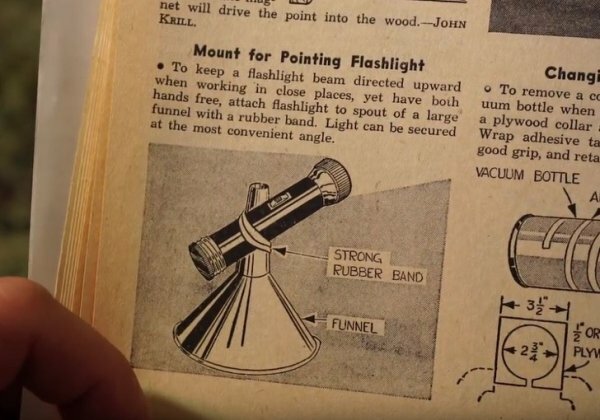 Simply make adjustments to the flashlight using the rubber band and you’re all set. 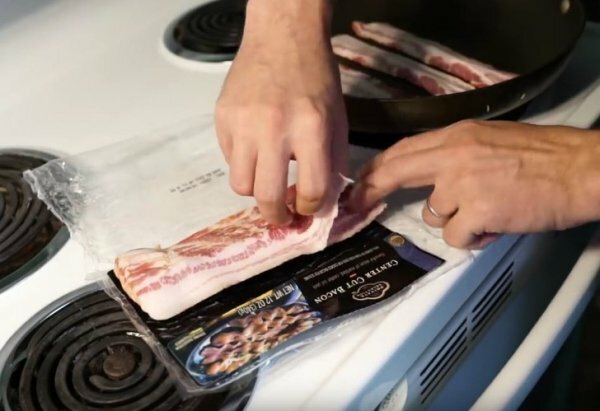 Prevent bacon strips from tearing or shredding. There may be no greater crime against humanity than letting bacon tear unintentionally due to being packed together too tightly. 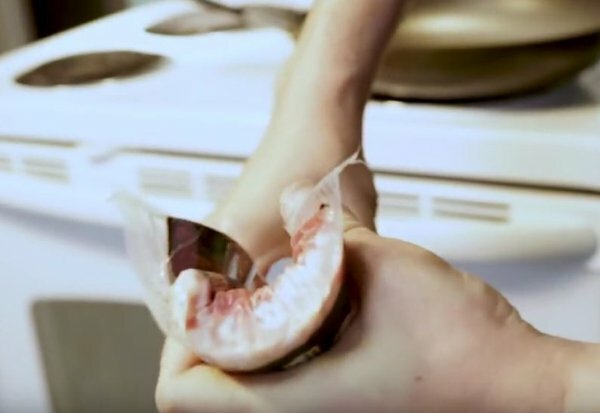 The simple solution is to take the cold packaged bacon and start rolling it with your hands back and forth until the pieces begin to break up. After doing this you should be able to open the pack and pull out each strip without any tearing or shredding. God forbid. 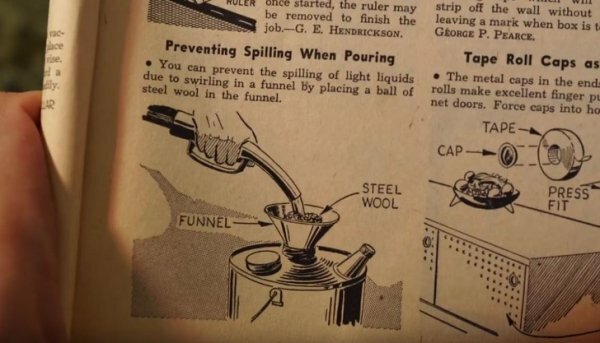 According to the book, you avoid spilling of any liquid by placing steel wool into a funnel. 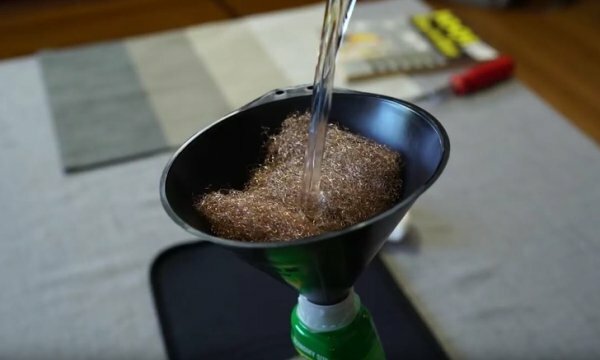 Steel wool is perfect because it prevents the liquid from creating a swirl when it’s poured through the funnel. Have a pesky old door that tends to close on its own? 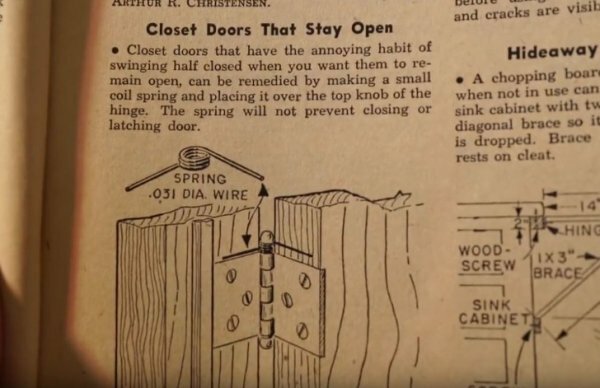 According to the book, you can remedy the situation by using a small coil spring and placing it on over the top knob of the hinge. 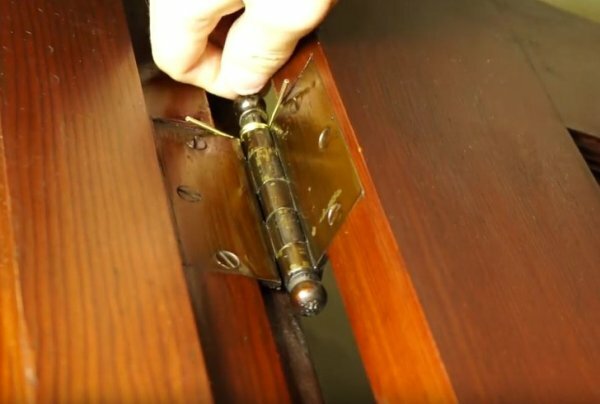 Simply remove the bar from the hinge and then slide the spring over it with the 2 ends pointing to the inside of the door. The strength of the spring will keep the door ajar, but it will still allow you to shut with extra force when you really need it closed. 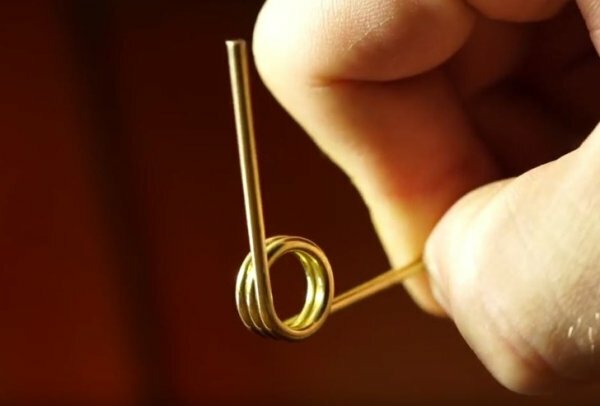 A particularly simple hack here. 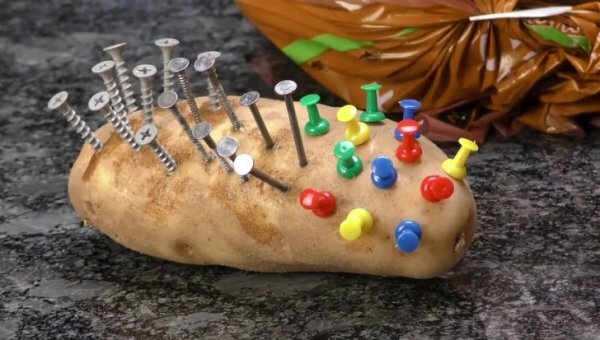 If you are are working on DIY projects, a great way to hold all your tacks, nails, screws, etc, is by stabbing them into a raw potato without the danger of dropping or misplacing them while you are working. 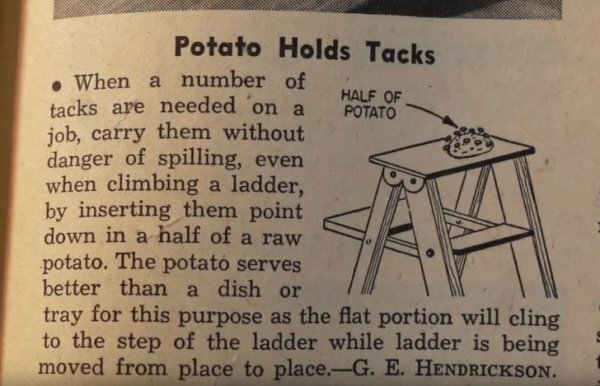 Like a potato voodoo doll, but it’ll get the trick done. If you do not have a raw potato available, then hard fruit like an apple will suffice. Got an old bottle opener? 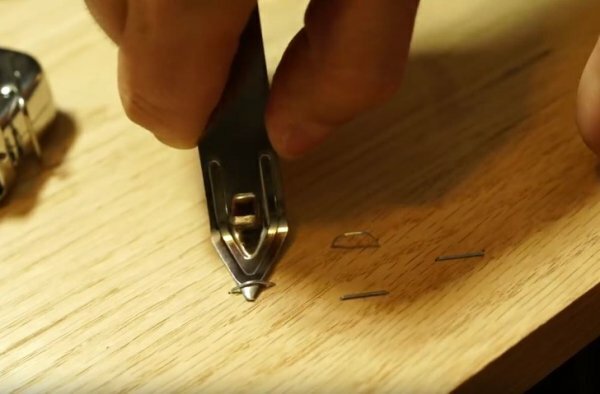 Turns out you have a perfect tool for removing staples and thumbtacks from wood or other materials. 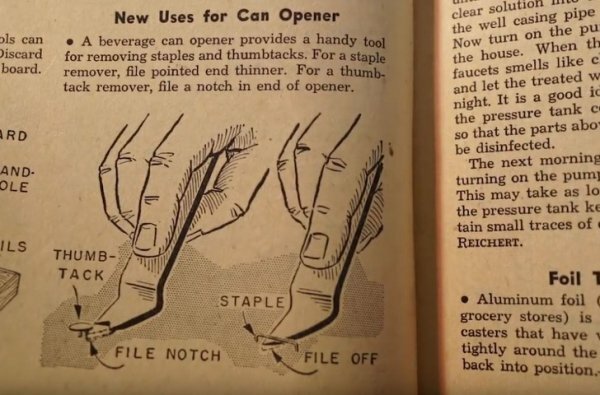 You’ll need to file the pointed end thinner of the opener to be thinner. 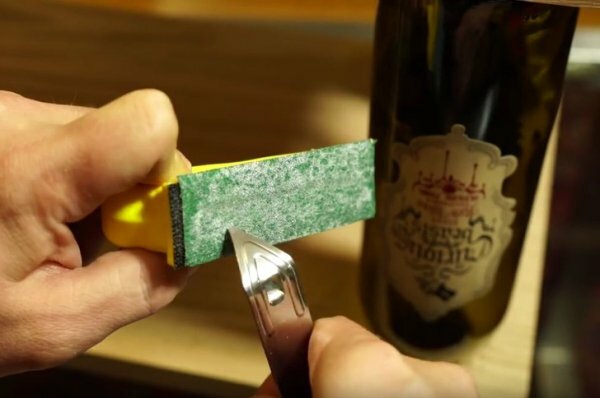 To do this, rub the edges on some sandpaper back and forth for a few seconds. The metal will shave down allowing you to pry up staples and more. 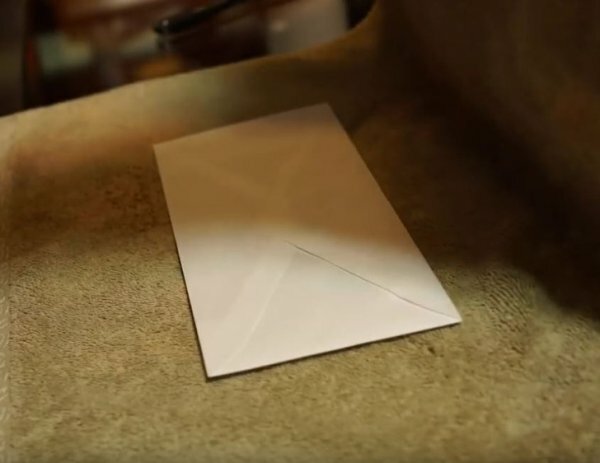 Have you ever written a letter and then signed and sealed it into an envelope only to realize you forgot one important detail (like money, or an unopened condom)? 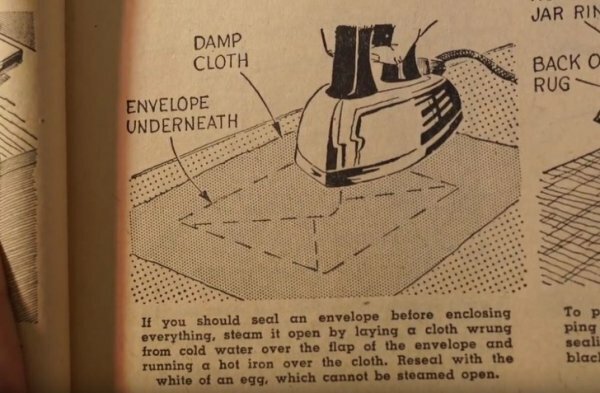 Turns out all you need a help from a steaming iron. 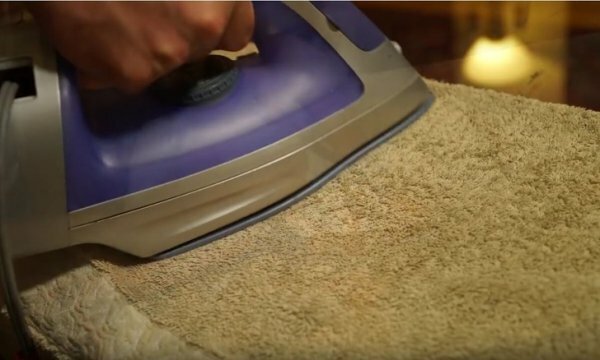 First, place your envelope underneath a folded towel, and then proceed to run the hot iron over it in a precise quick motion. Continually test your progress and focus on the parts of the envelope that haven’t been opened yet. The card-getter will never know what a buffoon you were. It’s like sending an email and then retracting it just before it officially sent. Those of us that have long hair, or that have a S.O. with lengthy locks know what a gross mess it is to eventually fish the hair out of the shower drain. 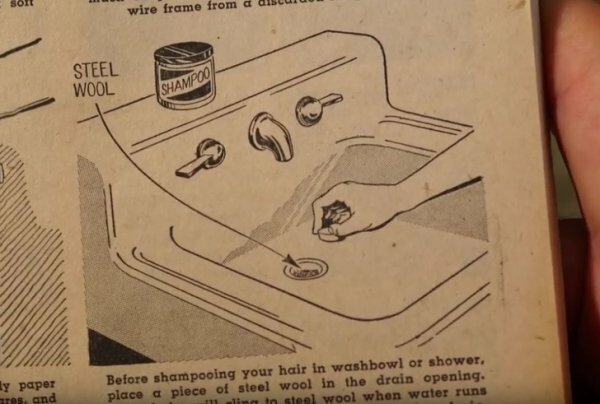 The easy solution, once again, is using steel wool. Simply place a piece of steel wool in the drain opening, and those loose hairs will cling to the wool when the water runs out and it can eventually be removed after showering (throwing the excess hair in the trash) to prevent a clogged drain down the road. Ever have sensitive documents you’d rather keep incognito? You double agent, you. 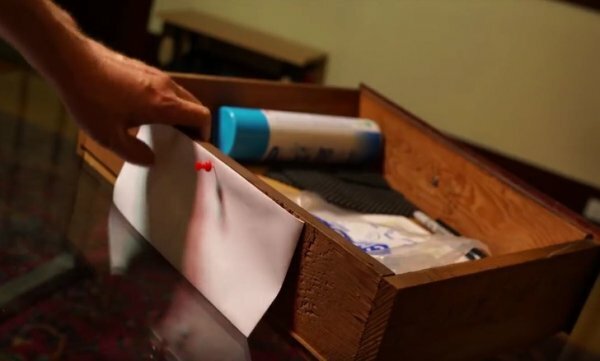 Just tack a large envelope to the back of a drawer to conceal your papers. Simply remove a drawer of your choice from its rails and fill the envelope with the important material. 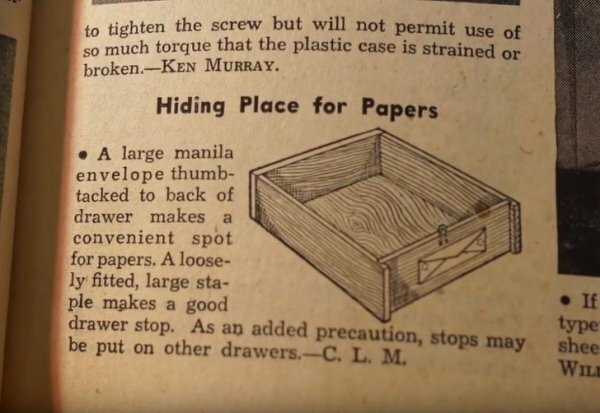 Then, use a thumbtack or a staple gun and attach it to the backside of the drawer. Put the drawer back on the rails and slide it into position. Way to go, Heisenberg, you’re in the clear. 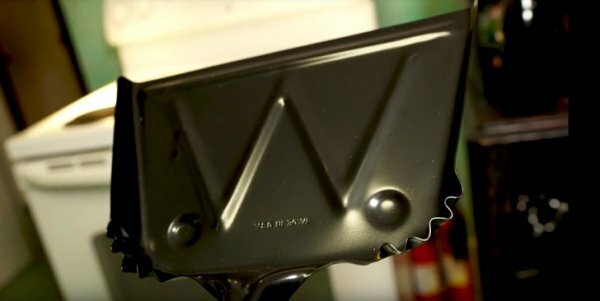 If you should ever misplace your oven mitt (admittedly an unlikely scenario, but stranger things have happened) you can use an extra metal dustpan to remove hot dishes from the oven. 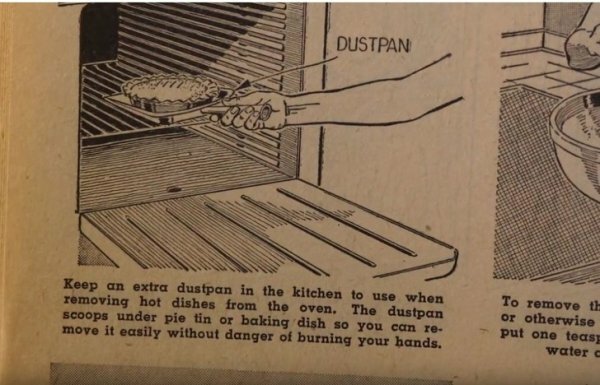 Note: Use only metal, because plastic dustpans will melt at the higher temperatures. 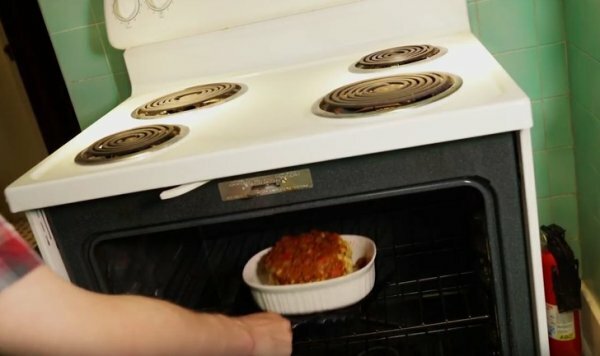 When your food is ready just slide the metal dustpan under the hot sheet pan and deliver it to your table.